At barely twenty years of age, Jabamani Tudu, Roja Devi and Manisha have carved out a small niche of a young core in the engine of the Indian Senior Women’s National Team. 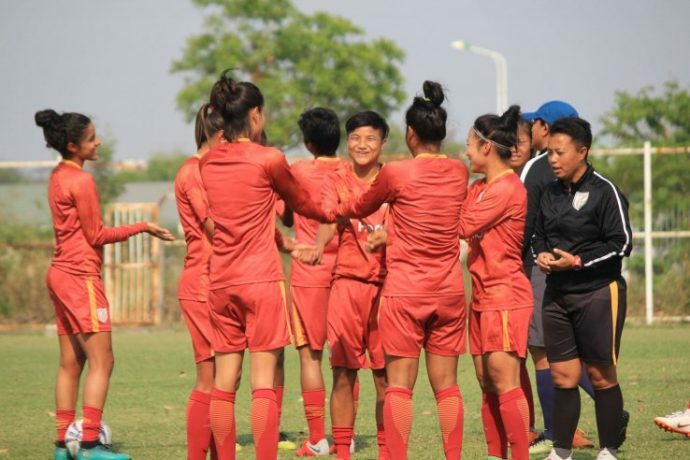 Indispensable and often brimming with excitement, the trio are some of the youngest members of the Women’s National Team in a squad where the average age is just 21. But getting into the Senior Women’s National team wasn’t a bed of roses for them. In fact, all three came through AIFF’s youth teams – the U-16s and the U-19s – where they played a major part in international events, that eventually earned them a call-up for the Seniors. “The quality of these players were visible in the SAFF U-19 Tournament and the AFC U-19 Championship Qualifiers where we defeated Thailand 1-0. All of these players have the ability to single handed affect the outcome of the match”, said India U-19 Women’s Team Head coach Alex Ambrose.